Every month we explore new restaurants & locations. This time we’re looking forward to join the Old Fashion Bar & Restaurant in Zurich! Let´s have an nice evening with old, new & good friends! First eat – then dance, from midnight we will switch from restaurant to club atmosphere. MENÜ served in family style and including welcomes Apero Special. The complimentary Apero will be served from 7.30pm – let´s meet at the bar! 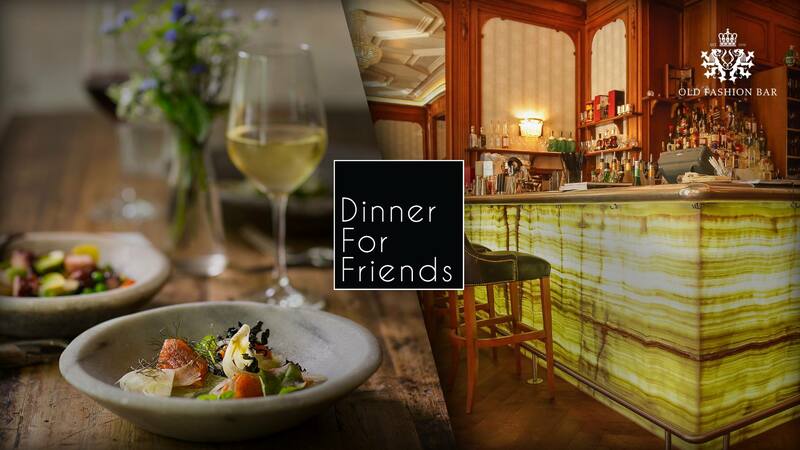 Tickets are avaliable now, please make sure to book pre-event – online via http://bit.ly/2diEKCZ or make your last-minute reservation via table@dinnerforfriends.events!